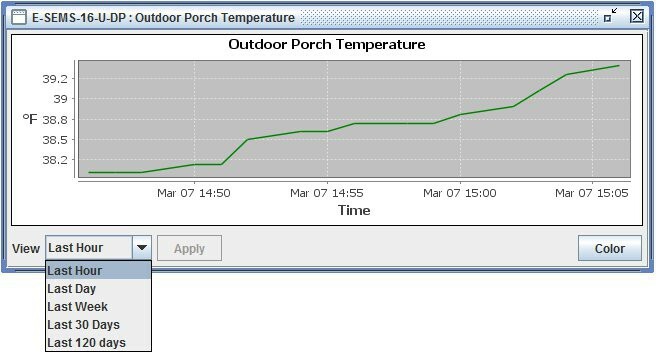 Monitor and configure up to 3,000 ENVIROMUX units, IPDU-S4/8 units and all connected sensors. 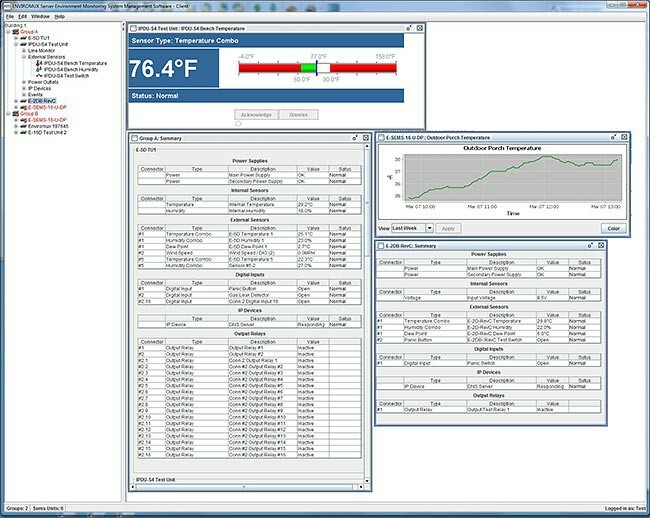 How to use the NTI ENVIROMUX Management Software. 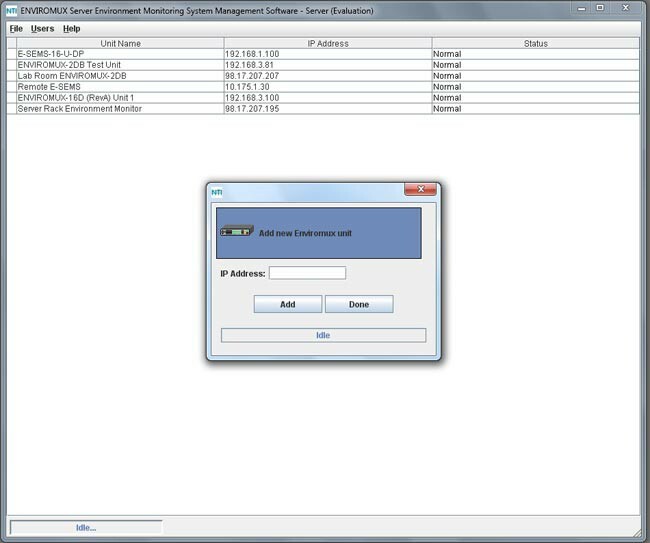 E-MNG is an intuitive graphical management software that provides an easy-to-use, unified interface for both monitoring and configuring up to 3,000 E-2D/5D/16D, E-MICRO-T(RHP), E-1W(P), E-SEMS-16(U), IPDU-S4/8 units and all connected sensors. Optional Management Software for E-2D/5D/16D, E-MICRO-T(RHP), E-1W(P), E-SEMS-16(U), and IPDU-S4/8 units. 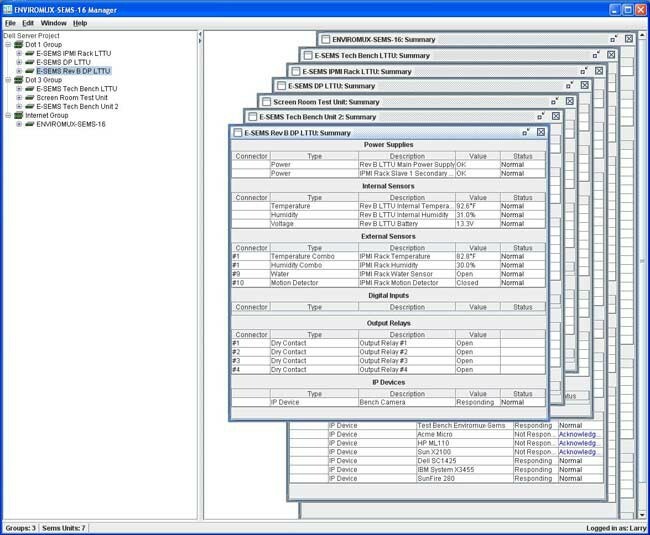 Intuitive graphical management software provides an easy-to-use, unified interface for both monitoring and configuring up to 3,000 E-2D/5D/16D, E-MICRO-T(RHP), E-1W(P), E-SEMS-16(U), IPDU-S4/8 units and all connected sensors via Ethernet. Not compatible with Advanced-Cascade Configuration of E-2D/5D/16D units. 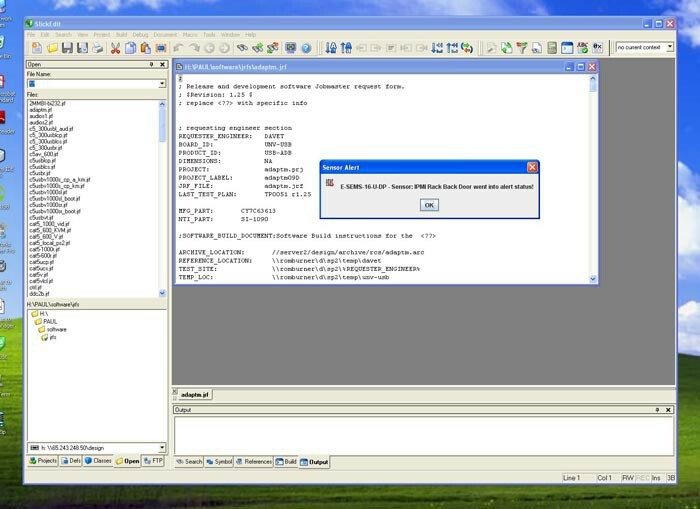 When using with E-SEMS-16(U), must use software v2.7 or older and Java 1.7 or older. Requires Java Runtime Environment 1.5 or later. "The E-MS-SEMS0010 is an easy to use user interface and is very flexible. Alarms can be noticed easily."